Jill has worked at the World Photography Organisation since 2012. Her career began as a PR assistant at a disability charity, followed by a move in to the arts sector in London’s West End, working as an Account Manager promoting theatre shows. 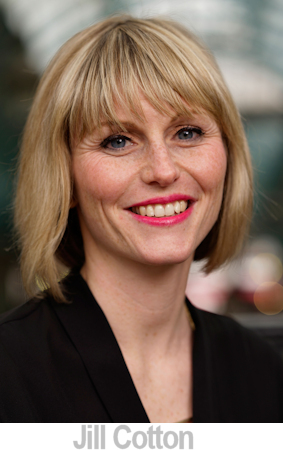 From here Jill moved to a specialist PR agency looking after creative clients. The World Photography Organisation was one of those clients before she was offered a position within their newly created in-house team and has since moved up to become PR Director. You started in PR at the beginning of your career. Why did you move in that direction? I really enjoy being part of anything connected to the arts, whether this is attending an exhibition or taking part in an art class, but I knew that my artistic talents did not stretch so far that I could make a living out of it. I have always been an organised person and liked the idea of working with media in some way which is why I began to explore PR positions. Doing lots of work experience placements across various communications teams, big and small, helped cement my direction down the PR path. What qualities did you have that appealed to prospective employers? I think that in order to effectively PR anything, you need to be passionate about whatever it is you are promoting. I would like to think that my passion for art came through to employers. Did your degree help you find work? My degree at Goldsmiths covered a huge range of topics, from postmodernism to film noir and this really opened my mind to the endless world of opportunities that there are within the art world. However, I found that because the degree was quite broad, I did not have the exact skills to land a communications role within an arts based industry. I therefore took a PR job outside of the arts to learn the basic skills and then went back to university to take an MA in Arts Management and Cultural Policy, again at Goldsmiths, to get the arts contacts I needed. The Masters very much helped me secure my job as I asked one of the visiting tutors for work experience, this turned into a job and I spent four happy years with the company. How relevant was the content when compared to working in the real World? I think it is quite difficult to teach all the skills you need for PR in the class room - it is a job that you have to learn by doing. You can research how to structure a press release or the best time of the day to contact a journalist but until you actually pick up the phone for the first time to sell in a story, you aren't really doing PR. Is there anything that you feel was missing from your education that would have helped when in or finding employment? I was very fortunate to have a great education and being in London meant that world class art was at my fingertips any time I wanted. What prepares a prospective employee looking to break in to PR? PR can be exhilarating but it can also be really hard work, particularly when you are starting out and you don't yet have the contacts with journalists or the big name clients that make your calls to journalists that much easier. I would certainly say that you need to be prepared for a lot of knock backs and to have quite a thick skin. It might sound obvious but you also need to keep up to date with the news agenda and the opportunities in media for coverage, the Homes & Garden section of the Financial Times isn't perhaps my natural choice of reading, but it has some great feature slots that are always useful. The media landscape is constantly changing so keeping on top of what is happening in print, broadcast and online is essential. Can you describe your work at the World Photography Organisation? I am the PR Director of the company and oversee the PR output for all of our activities. I have one person working alongside me in London and manage two PR agencies in China, one in London and a further person in the United States. I also have contract staff come in to help us through busy periods. Our work focuses on two core products: the Sony World Photography Awards, the world's largest photography competition, and PHOTOFAIRS, art fairs dedicated to photography. We are a truly international company with the Sony World Photography Awards operating in over 200 counties and PHOTOFAIRS having editions in Shanghai and San Francisco. My day therefore starts early dealing with queries that have come in overnight from China, normally moves on to dealing with European enquiries during the day and the focus then moves to San Francisco late afternoon. My day can involve conference calls with the Chinese PR agencies to ensure their work is being carried out to strategy, working with a photographer on an exhibition or brainstorming ideas for a feature with a target media. It is certainly varied and very full but I wouldn't have it any other way. How does working in photography PR differ to the other arts arenas? In many ways it is the same, you have to the find the interesting angle about things you are working on and then pitch it in the right way to the right journalist. This really is the basic principle of PR. What photography PR allows you is the possibility to tell stories not only via words, but also visually. It's really fun to get involved with a new series of work and be the first to show the images to a journalist, images have an amazing power to move a person. 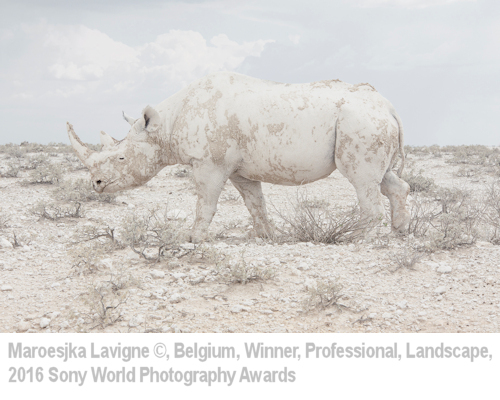 What’s your role in the Sony World Photography Awards? I oversee the global PR strategy for the awards and am involved in many of its other communication elements, from selecting the judges of the competitions to working with the recipient of its Outstanding Contribution to Photography prize and then much simpler activities including writing copy for our annual book and exhibition brochure. The awards have become the world's largest photography competition and the latest PR campaign created over 14.7 billion opportunities to see. We do this by designing bespoke campaigns for all the winners and the majority of the photographers who are shortlisted for the awards, so the team and I speak to French publications about French photographers, we talk to nature magazines about our wildlife photographers, and so on. This is quite an intense way of doing PR, in a three month period we run in the region of 200 campaigns across 60-70 countries and it certainly keeps us all busy! Of all the Sony World Photography Awards you’ve seen, do you have a favourite image? We have had over 1 million entries since we opened so this is a tough question! I have loved many of the images for many different reasons - this year I adored the work of Maroesjka Lavigne, our Professional Landscape category winner. Her series was shot in the Namibian desert and she elevated what could have been quite pedestrian, tourist snaps to absolute fine art. 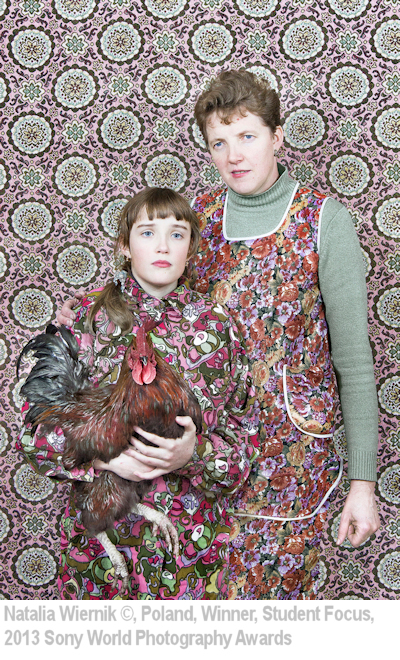 The student photographers we work with are always a real joy for me too - the 2013 Student Focus winner was Natalia Wiernik from Poland, her use of pattern and colour will stay with me for some time. Since winning Natalia has gone on to work as a professional photographer and I am very proud to have seen her work at the start of what is sure to be a great career. What are the highs and lows of a PR role? The highs, definitely when you see in print a story that you thought was an impossible thing to sell in. The lows, when the story that you thought would be impossible to sell in really is almost impossible! Everything has an angle and there will always be a media or journalist who is interested, but it can sometimes be difficult to marry the two. What are the challenges for creative-industry PR in the always on, always connected 21st Century? Online media has made coverage truly 24/7 and this is making it more and more difficult for your voice to be heard in a very crowded market. There are more places than ever to place coverage but what audience share does it have and is it really the right place for whatever it is that you are promoting? New media are opening all the time and other close very quickly too so keeping on top of what is happening and who is where is key. Social media is amazing at connecting with journalists but if you are doing it, so is everyone else again making it harder to be listened to. What are the critical skills of someone working in creative industry PR? Organisation, confidence to pick up the phone, politeness (no journalist ever appreciates being rude to) and tenacity, if a story isn't working you need to try and try until it does. What was the best business advice anyone ever gave you? Research what you are promoting before you talk to anyone about it. If you don't care enough to know enough about a topic, why would the journalist. What advice would you give to anyone wanting to pursue a PR career? There are so many different PR roles, in-house is incredibly different to agency side and I have been lucky enough to do both. I would really advise getting as much work experience as you can within a range of organisations as once you go down one route in PR, it can be difficult to move across to another. Also, get involved in an area of PR that you are passionate about. If cooking isn't your thing you are pretty guaranteed to hate your day if all you are promoting is the latest chef or food ingredient. All images © their respective owners and used with permission.